The Governing Body (IFA Board) comprise of the following office bearers elected by the General Body for managing and implementing the activities of the association. The names and designation of the present members of the governing body are as follows:. 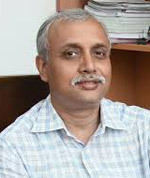 Ashok Banerjee is a senior Professor in the Finance and Control group at IIM Calcutta. He takes several advanced courses in Finance like Corporate Financial Reporting, Corporate Finance, Corporate Restructuring, Quantitative Applications in Finance and Trading Strategies. He is also the faculty in-charge of the Financial Research and Trading Laboratory at IIM Calcutta. Prof. Ajay Pandey is the Dean at IIM Ahmedabad. He is a Professor in finance and accounting. His professional interests related to research, training, and teaching are mainly in corporate finance and capital markets such as corporate governance, risk management, project finance, volatility, and asset price dynamics etc. His other professional interests, particularly for consulting, the electricity sector, public procurement, and regulations. Prof. Pandey received a Doctorate at IIM Ahmedabad by specializing in Finance and is a graduate from IIT Roorkee. 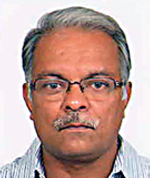 Sankarshan Basu is a Professor in the Finance and Control Area at the Indian Institute of Management, Bangalore (IIMB). He moved to IIMB in February 2002 after a brief stint with ICICI Limited in Mumbai in their Treasury operations. Prior to that, he was in academics as a Lecturer in the Department of Actuarial Mathematics and Statistics, Heriot Watt University, Edinburgh, Scotland and Department of Statistics, London School of Economics. His research interests are bond pricing, interest rate modelling as well as pricing of stop-loss reinsurance contracts. He graduated from Presidency in 1993 and from IIT Kanpur in 1995. He is a PhD in Statistics from London School of Economics and Political Science, UK. 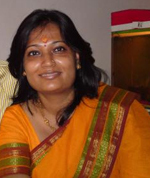 Manju Jaiswall is a faculty member in the Finance and Control area at Indian Institute of Management Calcutta. She has done her M.Phil. in Commerce from University of Calcutta and doctorate in Management from Indian Institute of Management Bangalore. Her research interests are in the areas of Corporate Governance, Financial Reporting, Earnings Management and Executive Compensation. She teaches courses in corporate financial reporting, cost management and financial statement analysis. 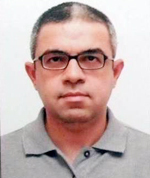 Ashok Thampy is an Associate Professor in the Finance and Control Area at the Indian Institute of Management, Bangalore (IIMB).Prior to joining IIMB, he was at the Department of Finance, Bilkent University, Turkey. 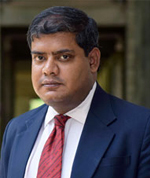 He has also held visiting positions at the Department of Economics at Santa Clara University, USA, and the School of Business, Economics and Law, University of Gothenburg, Sweden.Prof.Thampy’s areas of interest are Corporate Finance, Financial Risk Management, Industrial Economics, Banking, and Regulation. Prof. Thampy received a Doctorate at Krannert Graduate School of Management, Purdue University, West Lafayette, Indiana, USA by specializing in Economics and master degree Jawaharlal University, New Delhi. 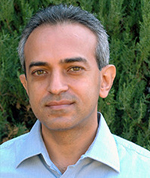 Vineet Virmani is an Assistant Professor in Finance & Accounting area at IIMA since January, 2011. He received his degree in engineering from IIT (BHU), Varanasi and his doctorate in management from IIMA with a specialization in Economics. After finishing his doctorate he worked as a post-doctoral fellow first at ISB, Hyderabad and then at IIMA before leaving for industry. Before coming back to IIMA, he was with Nomura/Lehman Services, Bank of America Continuum, Mumbai and Dell International Services, Bangalore.